IN NEED OF A KASHO SHEAR? If you’re in need of a New Shear or want to add to your collection Kasho is an Amazing Shear. I have worked with them for 19 years and have had a 100% Satisfaction rate! They also have some amazing specials going on between now and the end of April! Check out this video! Kasho Deal Specials for January through April! We are authorized Kashordealers! For more info go to our website www.LASHEAR.COM Want to learn more? Subscribe to our channel! @LASHEARTV! Mike Johles, founder of Lashear and LAshear.com lists the AMAZING deals and specials Kasho shears are running now through April! 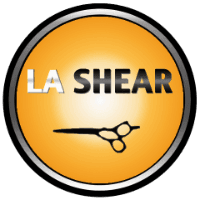 And make sure to check out our youtube channel @lasheartv to find all the many videos we have on Kasho shears – how to avoid a counterfeit shear and how you can finance your Kasho with NO interest for 6 months!